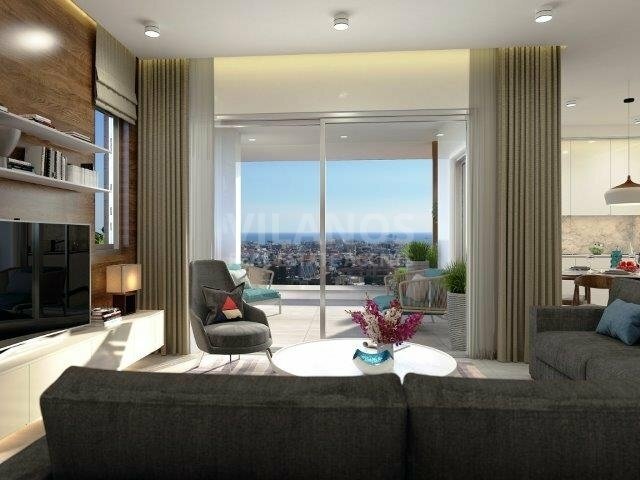 Code No.11159 For sale New under-construction Apartment in the Mesa Geitonia area Limassol, with 2 bedrooms. The apartment has +/- 86 m² covered area and +/- 19 m² covered veranda. Comprises 2 bedrooms, kitchen (open plan), living room, dining room, 2 WC, 1 bathroom, storage room, covered parking space. Features, new technology aluminium frames, provisions for a/c (VRV) and c/h (electric) , security locks, Italian top quality ceramic flooring, top quality bathroom suite and fixtures and quality electrical appliances in the kitchen. Sink with mixer, solar water heater with pressure pump, alarm system, video entry phone, high quality electrical fixtures such as switches and plugs, solid wood cupboards and cabinets with integrated stainless steel mechanism and Italian handles. Easy access near all services and amenities required by a family. 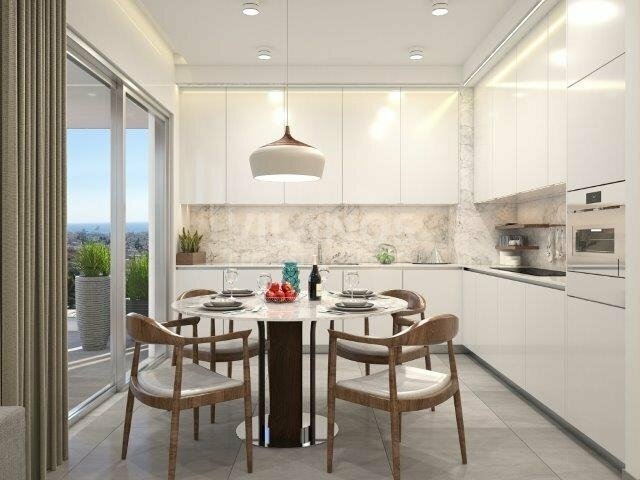 Located 3 minutes or 3 km from the Mesa Geitonia roundabout and 4 minutes or 4 km from the beach and Limassol town center. 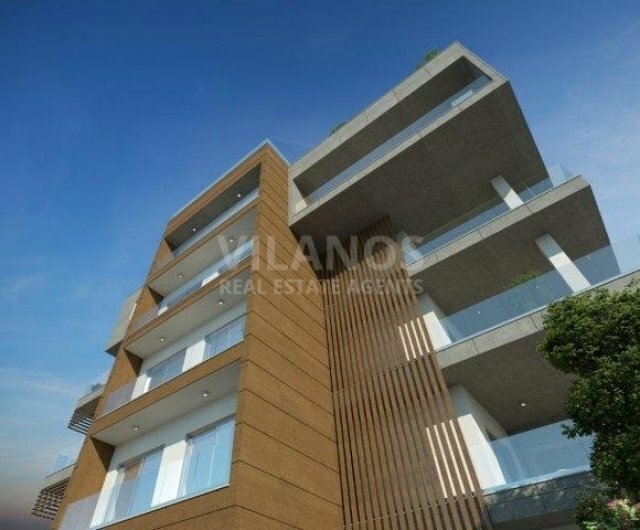 Located south of the city of Limassol. 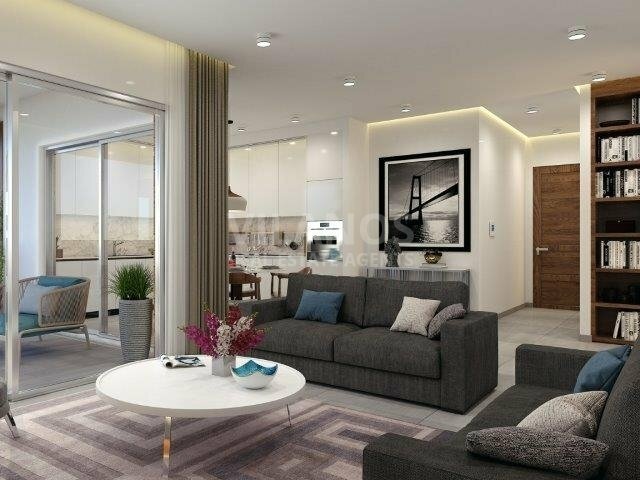 The apartment is in a small block near a quiet, newly developed area, surrounded by nice newly constructed residences and close to a large park with a children’s play area. The building is constructed with top quality materials with a contemporary design.